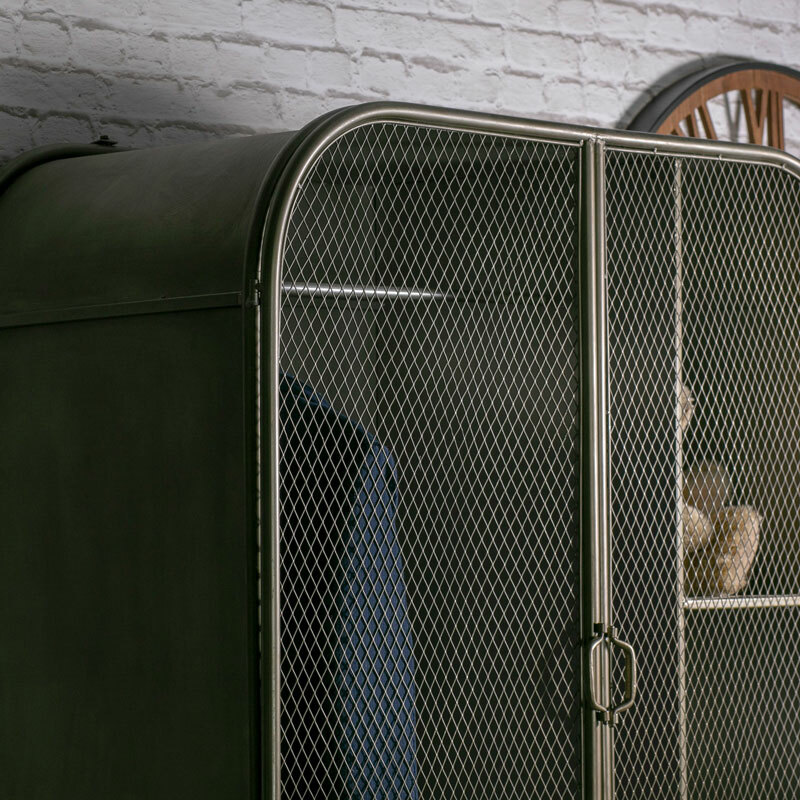 This large double wardrobe is perfect for adding a rustic and industrial feel to your bedroom! 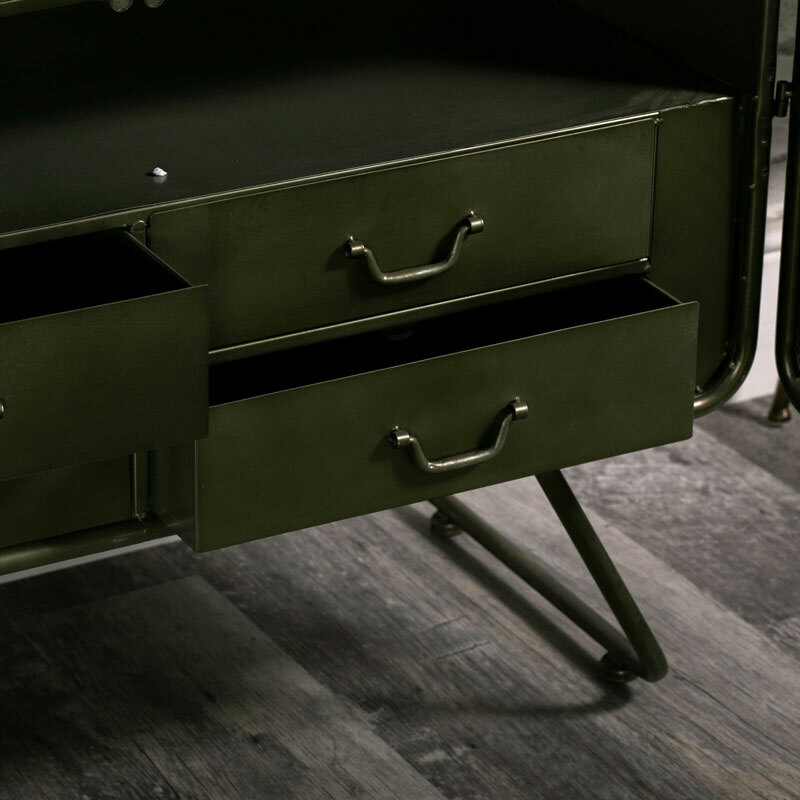 A stylish storage solution. 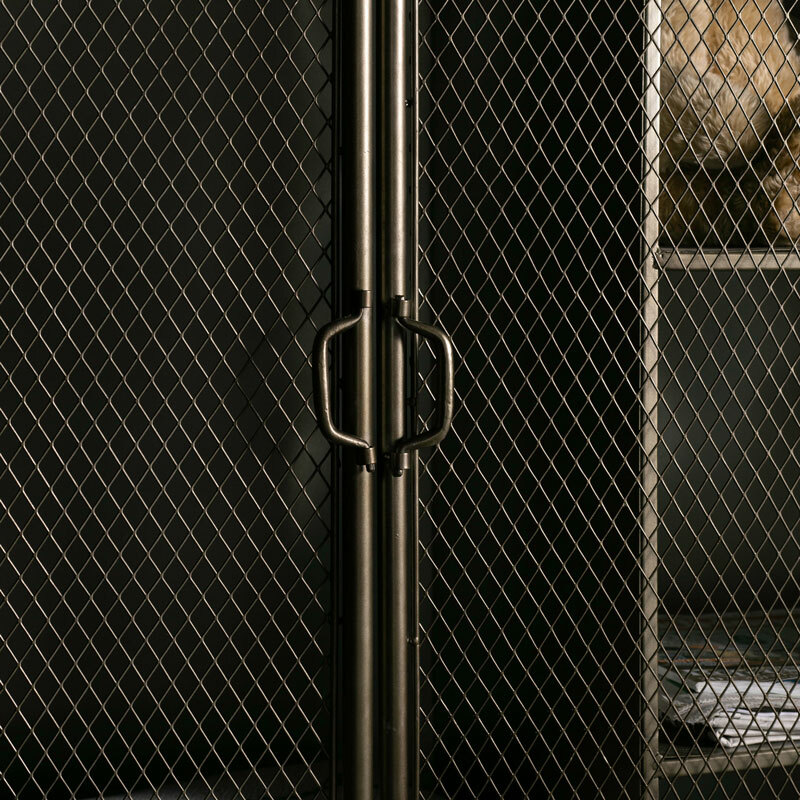 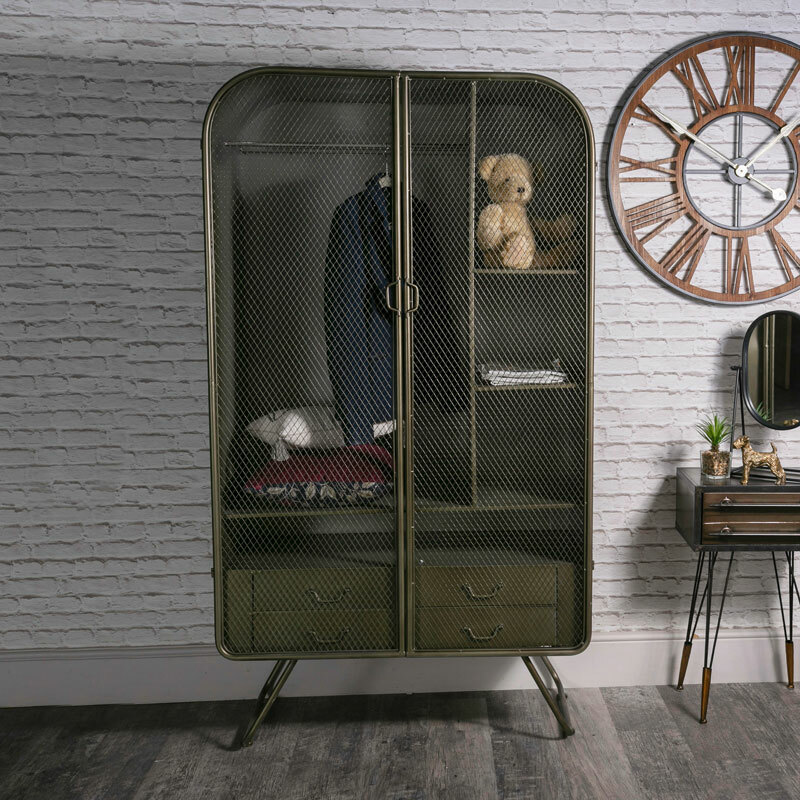 With a hanging rail, 4 drawers and 4 shelves it offers a great space that is enclosed before two mesh doors adding to its quirky retro look. 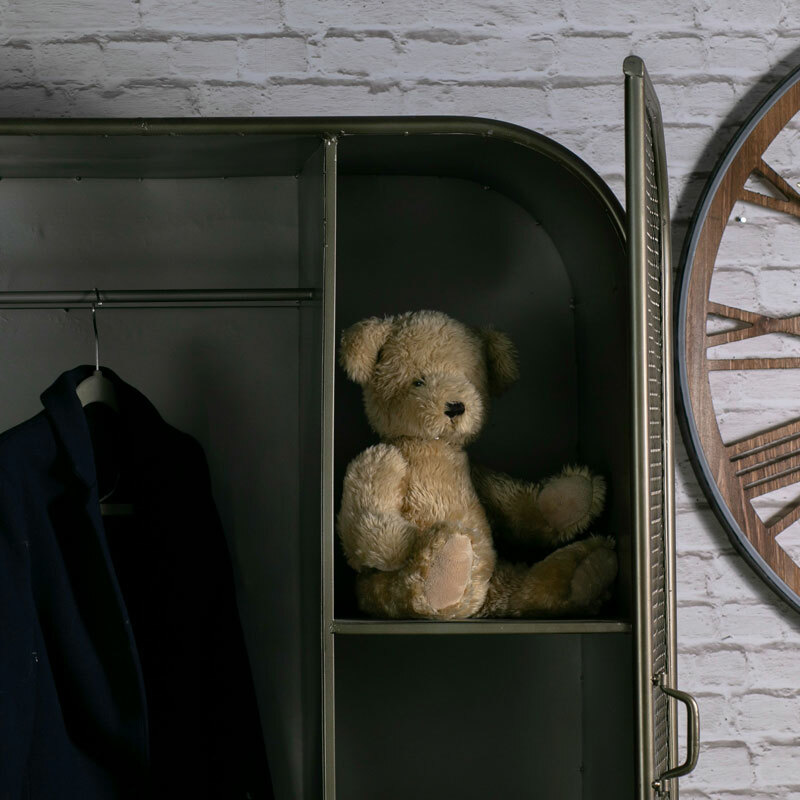 We have a fantastic selection of storage options for your home with a broad choice of wardrobes, armoires and closets in a range of styles, with full furniture ranges and standalone pieces for you to pck and choose from.